Every Christmas I send out homemade Christmas cards - each one is different so it usually takes me a while to get them done! I now have two more done for this year's card list. 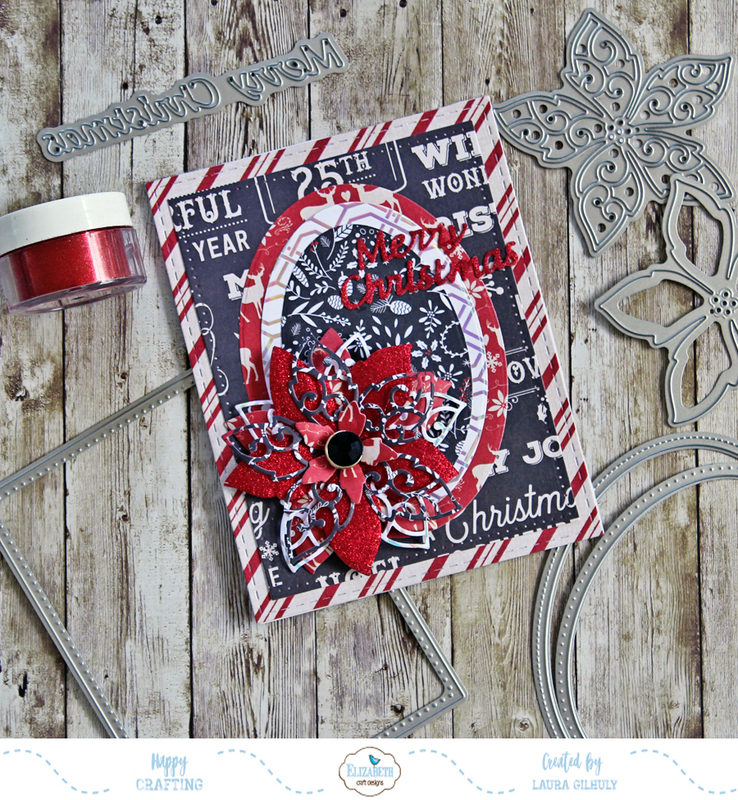 Card Number 1: Step 1 - Create a 5 1/4 square card base from White Soft Finish Cardstock. Step 2 - Using two of the dies from the Stitched Squares die set, cut a 5 1/4 square and a 4 3/4 square from coordinating patterned papers. Step 3 - Using the Poinsettia die set, cut 2 of the solid large poinsettia, one lacy overlay, and one small solid, all from coordinating papers. Use the stylus from the Susan's Garden All Metal Tool set to shape the petals. Assemble the flower, layered as shown. 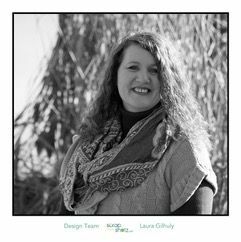 Add a bead or gem in the center. Step 4 - Add five loops of gold flower to the back of the flower. Step 5 - Using Clear Double Sided Adhesive Tape, adhere 2 pieces of sparkly gold ribbon to the smaller square, crossing the strips toward the upper left as shown in the photo above, so it resembles a gift box. Step 6 - Adhere the smaller square to the larger square. Center on card base. 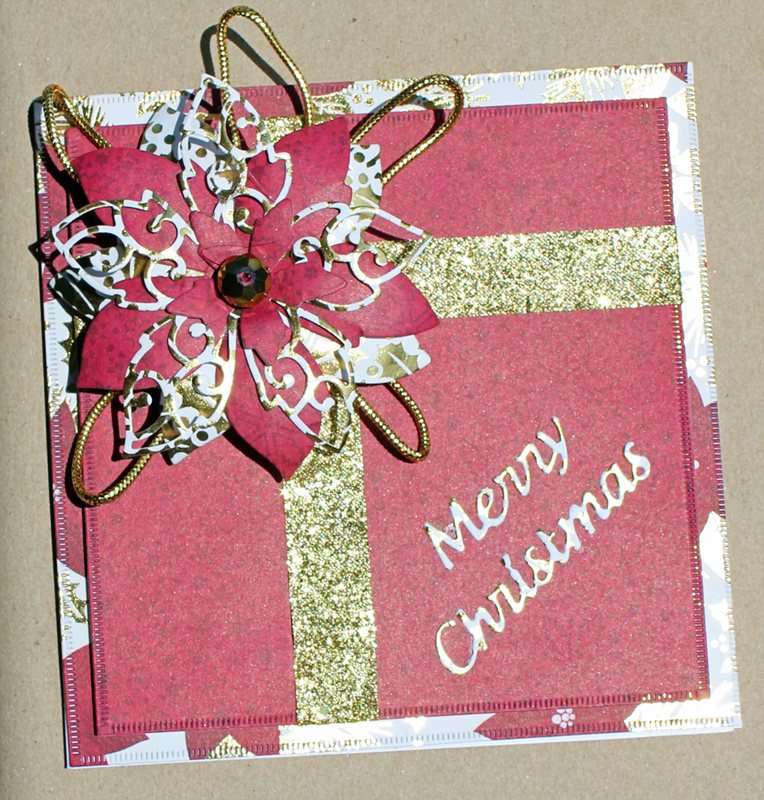 Step 7 - Adhere the poinsettia to the top left side of card. Step 8 - Die cut the Merry Christmas sentiment from gold and white patterned cardstock and adhere to the lower right side of card. 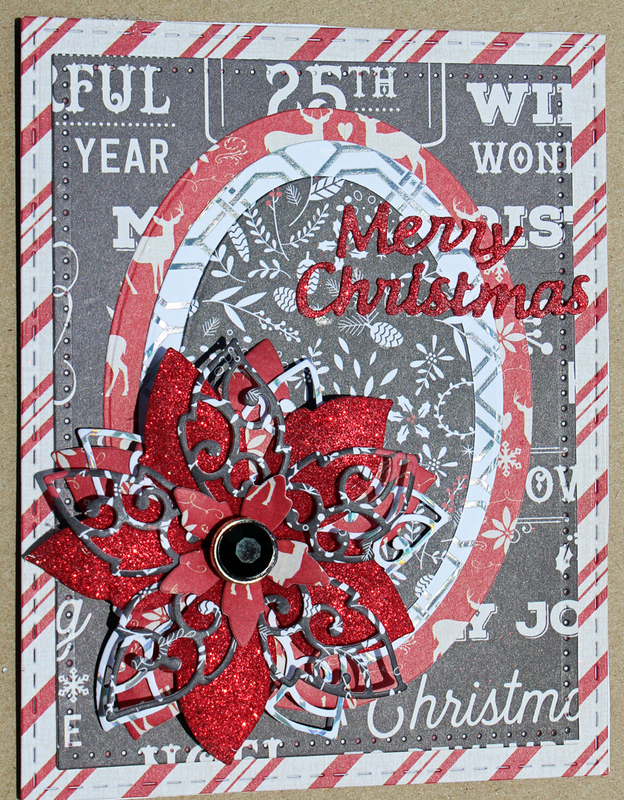 My next card uses the same poinsettia die! Changing the colors and papers totally changes the look. Step 1 - Create a 4 1/2 x 5 1/2 card base from White Soft Finish Cardstock. Step 2 - Using the Stitched Rectangles and Garden Notes - Frame It/Stitched Ovals die sets, cut a 4 1/2 x 5 1/2 and a 4 x 5 1/4 rectangle, and 4 1/2, 4 and 3 1/2 ovals out of coordinating papers. Adhere the smaller rectangle onto the larger rectangle, then the three ovals onto the smaller rectangle, centered as shown. Adhere the layered card front to the card base. Step 3 - Using the Poinsettia die set, cut two lacy overlays from coordinating papers. Also cut one large and one small solid poinsettia from glossy red cardstock. 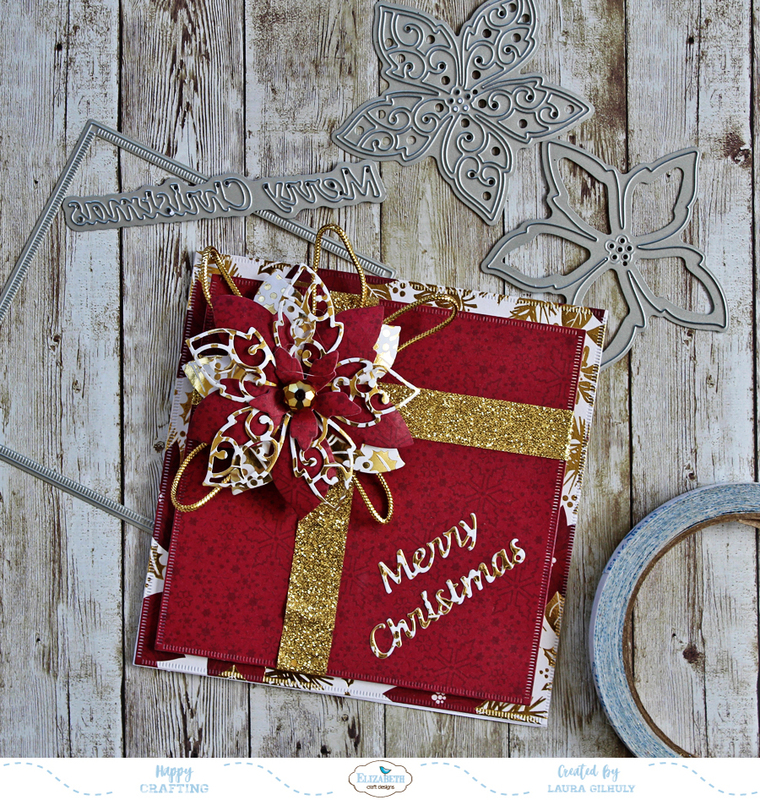 Adhere Clear Double Sided Adhesive Sheet (or wide Tape) to the front of a piece of White Soft Finish Cardstock and die cut a solid poinsettia and the Merry Christmas sentiment. Step 4 - Remove the cover sheet from the adhesive on the larger solid poinsettia and sentiment, cover the exposed adhesive with True Red Silk Microfine Glitter - taking care not to touch the adhesive while coating it. Polish the glitter into the adhesive using your fingertip to bring out the maximum sparkle. Great idea to make different cards! I stick with one design and make them in 'assembly line' fashion (ha). I've never seen a red, white & blue Christmas card so this really is stunning!